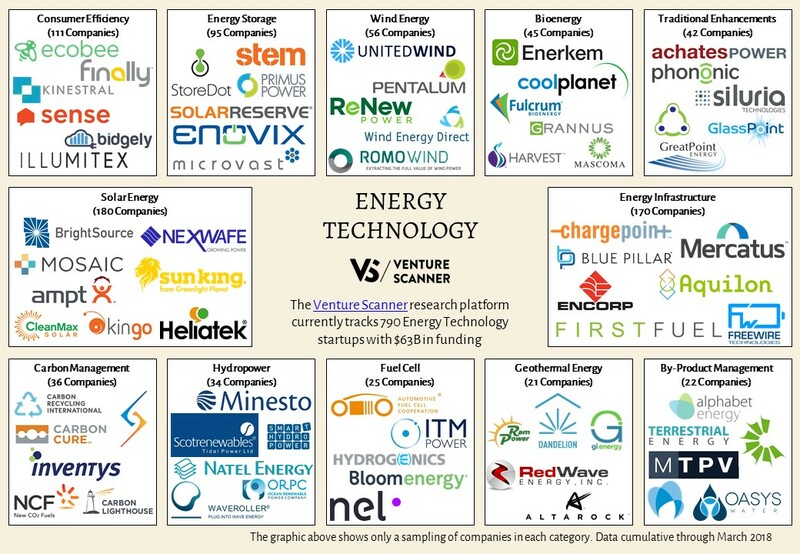 To learn more about our complete 3D printing dynamic report, visit us at www.venturescanner.com or contact us at info@venturescanner.com. 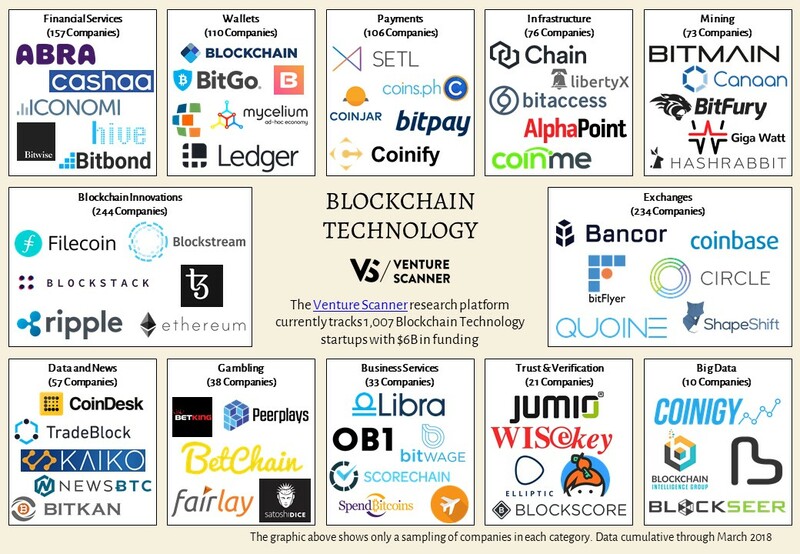 To learn more about our complete 3D printing report and research platform, visit us at www.venturescanner.com or contact info@venturescanner.com. 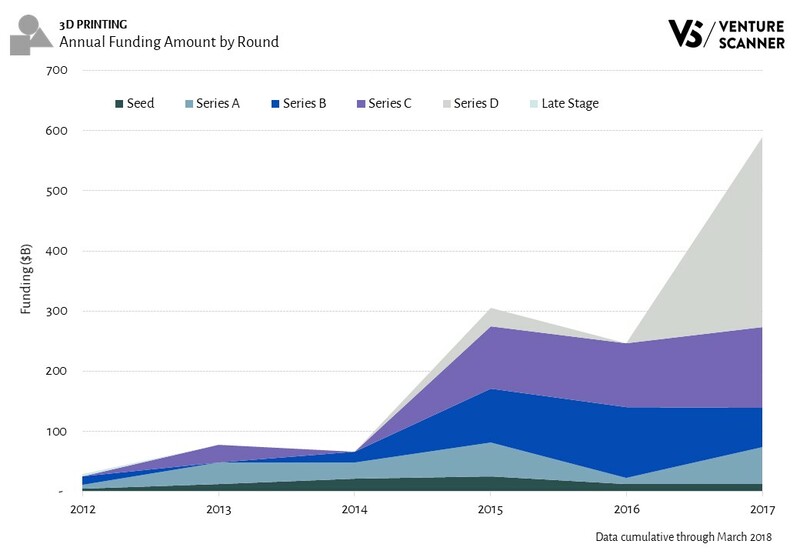 While the funding amounts in all rounds rose, Series C and Series D saw the largest increase. 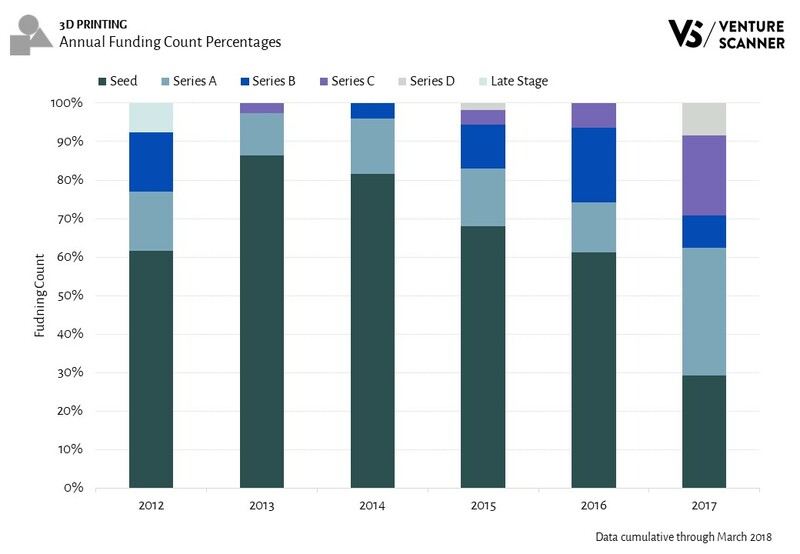 Specifically, Series C funding amounts increased by $135M and Series D increased by $315M from 2012 to 2017. We’ll now look at the 3D Printing funding amount by round as a percentage of the total, which shows changes independent of the total size. 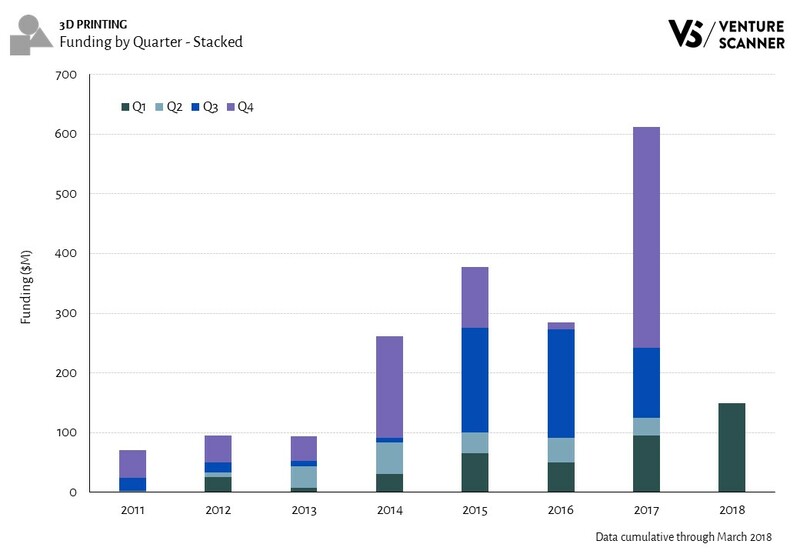 The above graph supports our previous observation that later stage funding amounts saw the largest growth from 2012 to 2017. 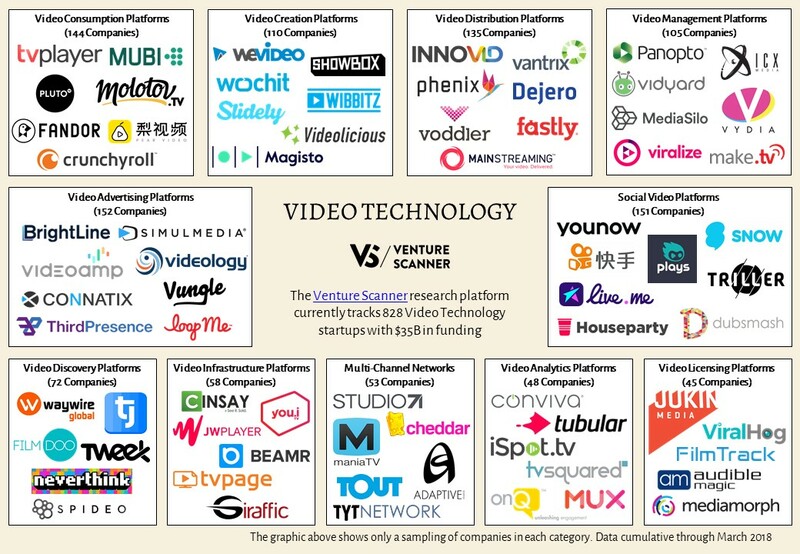 In 2012, Seed, Series A, and Series B events accounted for over 85% of funding. By 2017, there was a complete shift, with Series D events accounting for over 50%. 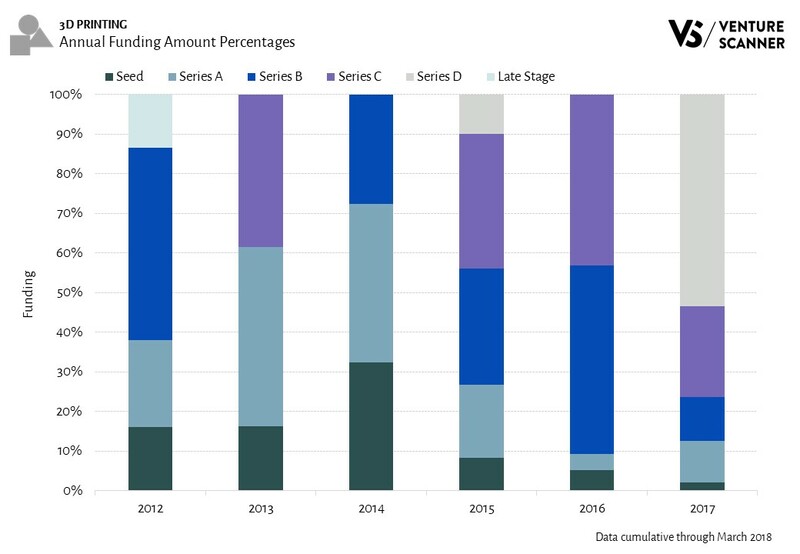 Seed, Series A, and Series B funding amount percentages also dropped significantly in 2017. So we see that the funding amounts graphs indicate a shift from early stage to later stage from 2012 to 2017. 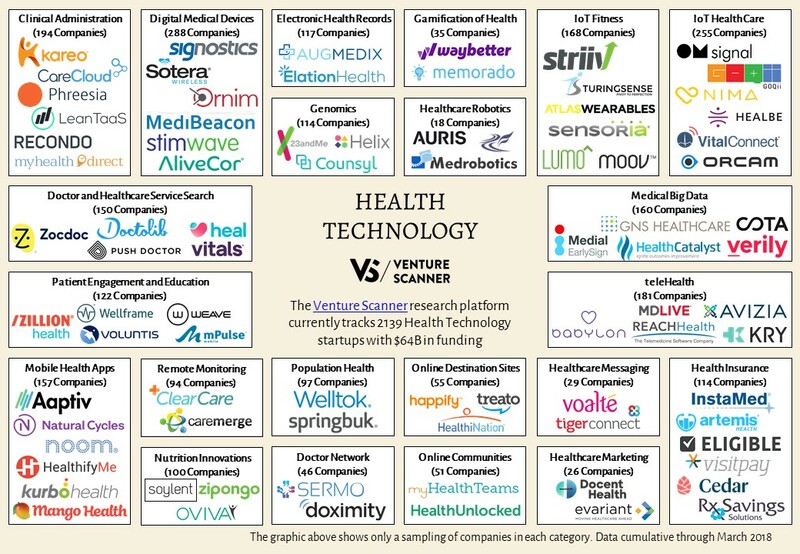 Would the funding event count graphs show the same trend? Let’s examine them in the next section to find out. 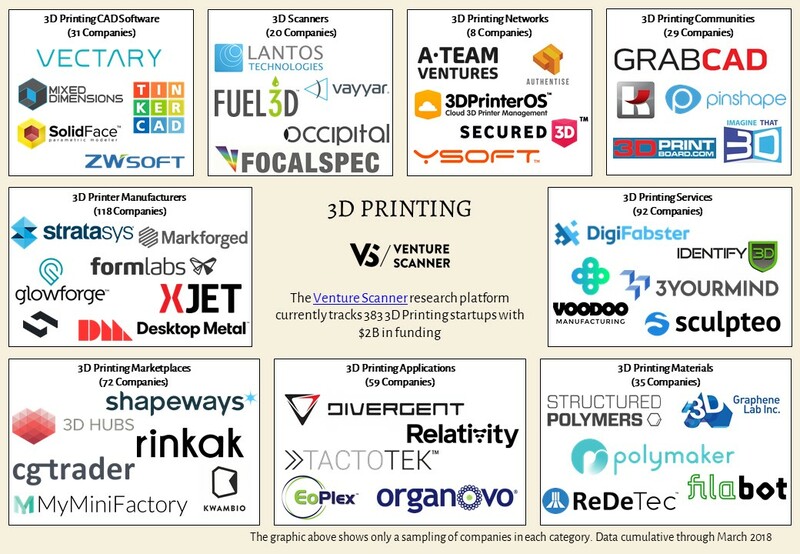 Let’s now look at the annual 3D Printing funding event counts. 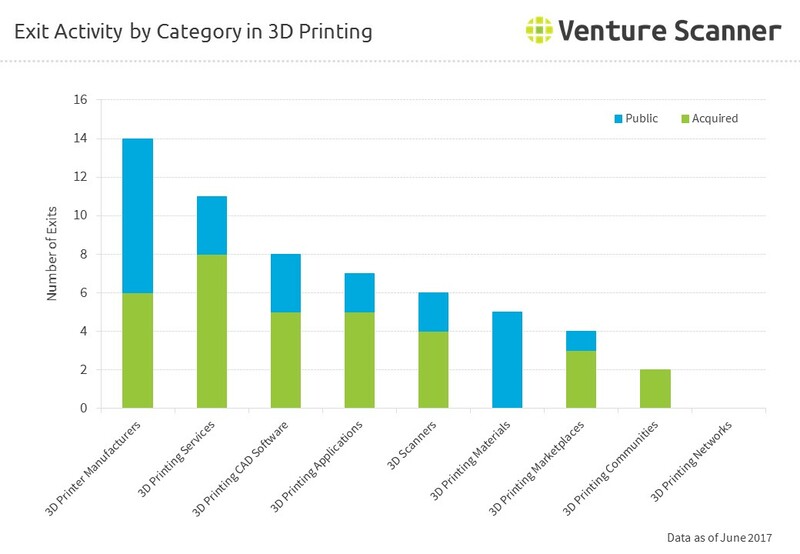 The below graph shows the 3D Printing funding counts by round as a percentage. This graph corresponds with the last graph in showing that the funding counts in the later stage saw increases from 2012 to 2017. 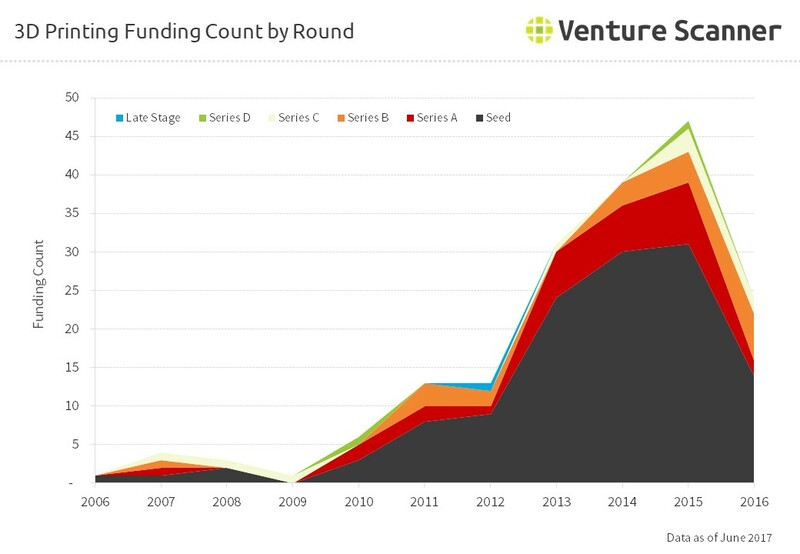 Specifically, Series C funding counts grew to 20% and Series D grew to 8%. 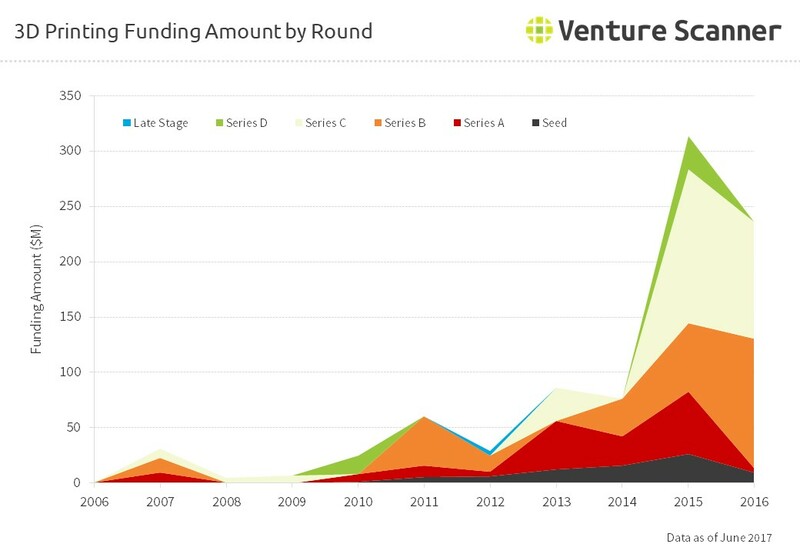 On the other hand, the funding counts in Seed and Series B both decreased. Combining these two graphics, we can see that 3D Printing funding counts shifted from the Seed stage to the later stage from 2012 to 2017. In conclusion, we have seen that 3D Printing funding amounts saw the largest increase in later stage events. 3D Printing funding counts also grew in the later stage and dropped in the Seed stage. 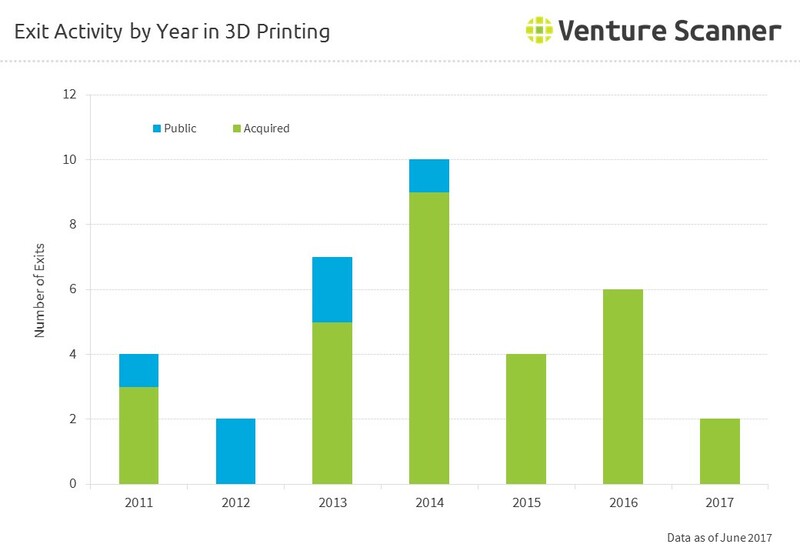 These observations led us to conclude that the 3D Printing sector is maturing. 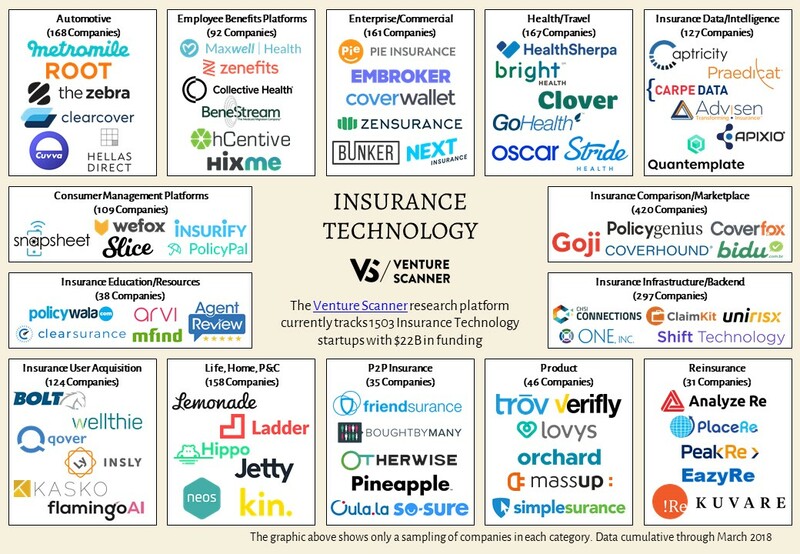 While funding counts decreased recently, investors are putting larger funding into well-established companies. 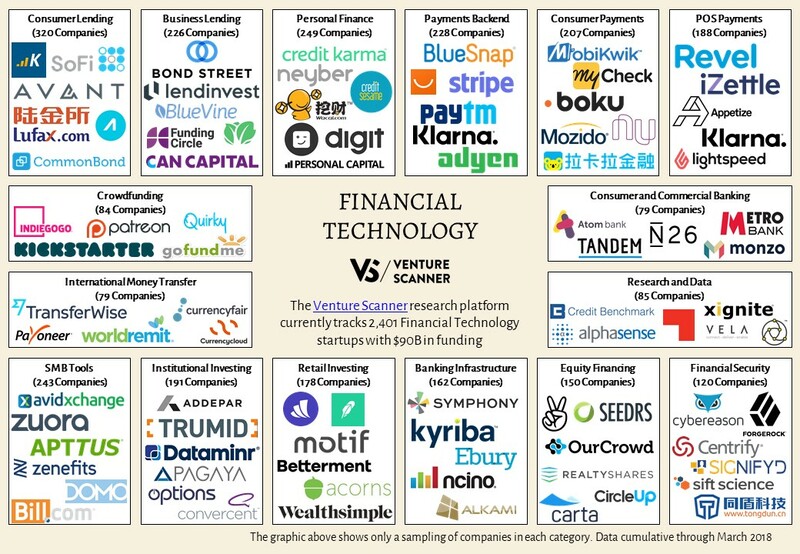 To learn more about our complete 3D Printing report and research platform, visit us at www.venturescanner.com or contact us at info@venturescanner.com. We are currently tracking 380 3D Printing Technology companies in 9 categories across 40 countries, with a total of $1.6 Billion in funding. Click here to learn more about the full 3D Printing Technology market report.